As fond as I am of my neighborhood dive bar, credit must be extended when it is due. The Blue Moon Tavern, open now for exactly 85 years (give or take a day or so), has been getting patrons blotto pretty much ever since getting people blotto was legal. Prohibition came to an end in late 1933 and the Blue Moon came into existence less than six months later, and has been here ever since. 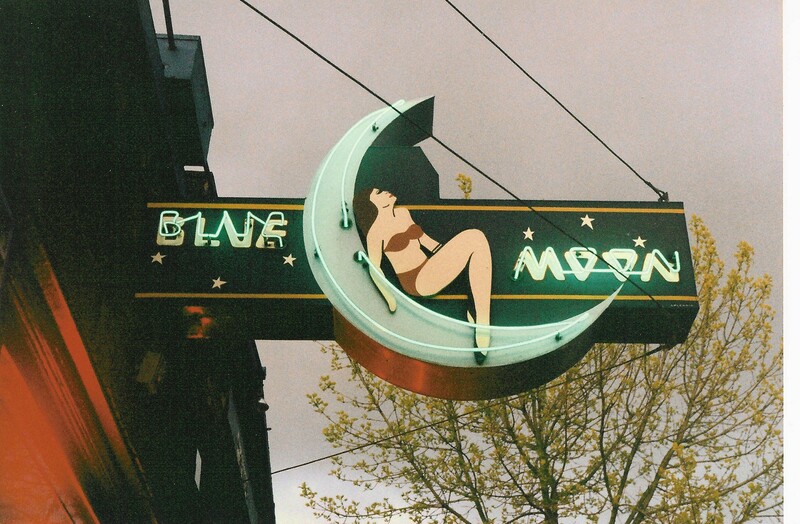 Seattle’s Blue Moon Tavern first opened its doors at 712 NE 45th Street near the University of Washington on or near April 15, 1934. Founded by Hank Reverman (1912–2009), the tavern was an instant hit with students who, under state law, had to trek one mile from campus to buy a beer. During the 1950s and 1960s, subsequent owners Jack and Jim David and, later, Stanford Poll (1940–2000) welcomed an assortment of radicals, artists, writers, journalists, beatniks, hippies, and wannabees. Poets Theodore Roethke (1901–1963), Richard Hugo (1924–1982), Carolyn Kizer (1924–2014), Stanley Kunitz (1905–2006), and David Wagoner could often be found at the bar, along with famous visitors such as Dylan Thomas (1914–1953) and Allen Ginsberg (1926–1997). The Blue Moon has survived wars, depressions, recessions, and every other type of complication a business could face in its time, but it’s a true testament to its importance to the city that it was able to withstand an official campaign from former city attorney Tom Carr to shut the place down for good, back in 2005. The Blue Moon, on Northeast 45th Street, is in the midst of a brawl with city attorneys over Hellthaler’s refusal to sign a Community Good Neighbor Agreement. The document, which is becoming an increasingly common hurdle for nightclubs, entitles the city to enforce a long list of rules, such as requiring bars to join neighborhood business associations. Since (owner Gus) Hellthaler returned his agreement unsigned, he’s received more than his share of city oversight. For instance, his application to the Washington State Liquor Control Board for an upgraded license was rejected [“Moon Blues,” Amy Jenniges, Sept 1]. In an e-mail to one of his assistants, city attorney Tom Carr confirmed that Deputy Mayor Tim Ceis signed off on the objection. And in October, while Hellthaler was in the middle of contesting the city’s agreement in court, the Seattle Police Department staged an undercover drug buy in the alley adjacent to the Blue Moon. It looked to Hellthaler like a coordinated effort to swing the judge’s opinion against his tavern. The Blue Moon has endured for 85 years, and that’s something I’ll drink to.